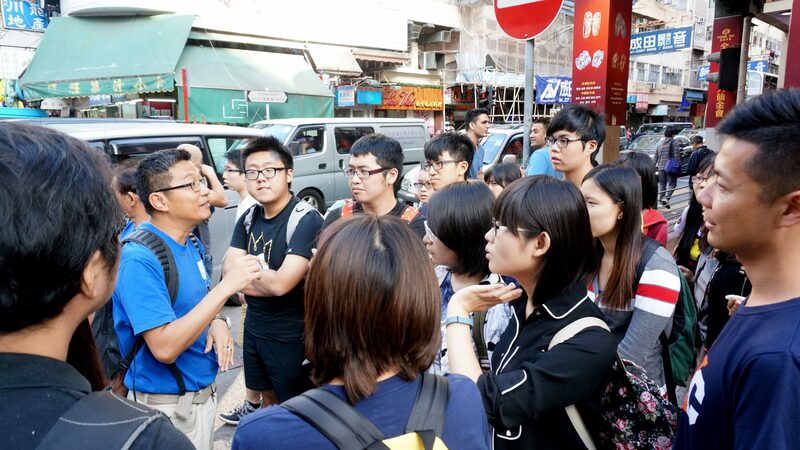 A tour in the Sham Shui Po to observe the urban development and housing issues. 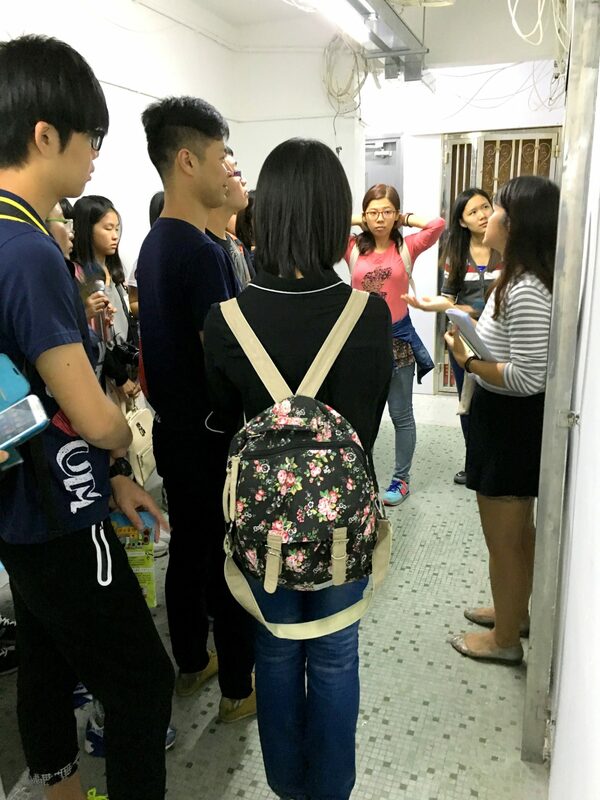 On 1st and 2nd November 2015, Stanley Ho East Asia College organized a trip for 13 students from different disciplines and years of study to visit local communities in Hong Kong. 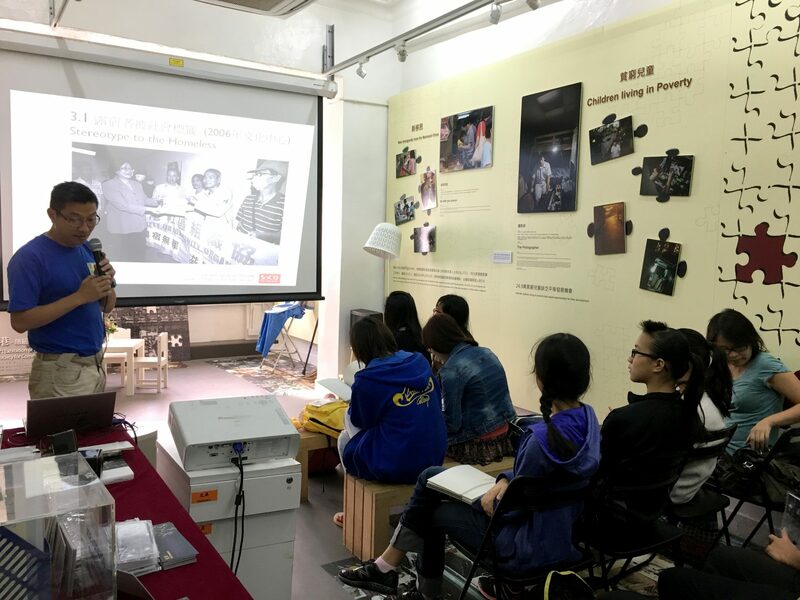 The group, led by Resident Fellow Dr. Sancia Wan and Fellow Mr. Walter Wan (FST), visited the hidden sides of the city, and learned about cultures of minorities, urban poverty and housing problem through field visit. This trip was aimed at helping students develop the competency goals in “Citizenship with Global Perspectives” and “Leadership and Service”. 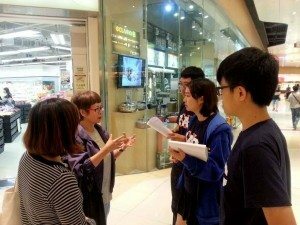 Upon arrival at Tsim Sha Tsui, the group joined a guided tour facilitated by two volunteers from Cultural Outings, a local non-profit organization, to visit Chungking Mansions which was once elected as the ‘Best Example of Globalization in Action’ by TIME Magazine. Visited Christian Action’s Chungking Mansions Service Centre which offers assistance to refugees and asylum seekers. There are a range of guesthouses, curry restaurants, African bistros, boutiques and foreign exchange stores. The students chatted in small groups with Pakistanis, Turkish, Indians and Africans, learning of their reasons of migration, daily lives before and after moving to Hong Kong, as well as their perceptions of Hong Kong as their home and being a “Hong Konger”. The students were much impressed by the high concentration of different ethnic minorities in such a single location and their proficiency in Cantonese. In the afternoon, the group attended “The Invisible: Exhibition of the Hidden Communities” hosted by the Society for Community Organization (SoCO), where they saw photos and stories illustrating daily lives of the “invisible” groups:- for example, children and elderly living in poverty, low-income labour, refugees, the homeless, new immigrants, and people with mental illness. Mr. Ng Wai Tung, SoCO Community Organizer, presented about the situations facing homeless people in Hong Kong. 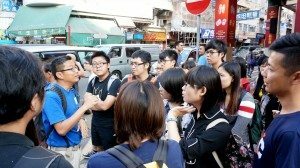 Led by Mr. Ng, the group also roamed around the old and recently developed parts of Sham Shui Po, a district of the lowest median household income in the city. They also visited an area where homeless people find their sleeping and resting spaces, and had conversations with a few of them. 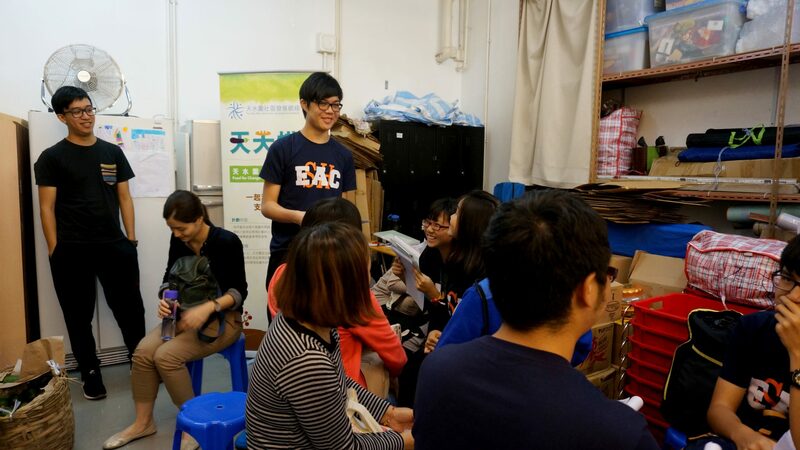 The second day of the trip featured interactive workshops hosted by Oxfam Hong Kong. In the morning, the group joined a drama workshop (《五‧拾‧米》互動劇場) at the Oxfam Interactive Education Centre in North Point. It concerned a story about a girl growing up in a poor family. Having a say to change plots and even playing a role along with the actors in the play, students experienced the situation of low-income families and the working poor, and hence reflected upon various causes, consequences and possible solutions of poverty. Talking to residents during the local community visit in Tin Shui Wai. In the afternoon, the group travelled to Tin Shui Wai, a town developed in the late 1980s and notable for its relatively remote location, limited employment opportunities and high density of public housing estates, in northwestern New Territories of Hong Kong. Facilitated by a local community organization, the students completed several tasks in small groups and talked to residents to learn about the daily lives of and challenges encountered in that district. In the end, students summarized their findings and expressed thoughts about the social issues learned through this experiential journey. SHEAC has organized community engagement trips annually or bi-annually since 2013. 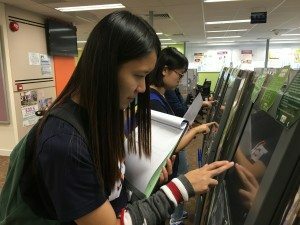 Students have gained a deeper understanding of the meaning and causes of poverty and social problems facing vulnerable groups with low socio-economic status. The College also hopes that through this kind of experiential activities, students would reflect upon their own role in social development and poverty, foster a stronger sense of civic and service awareness, and ultimately consider possible ways and take actions to help others in need. Joined the talk and sharing session about homeless people at the exhibition venue of the Society for Community Organization (SoCO). 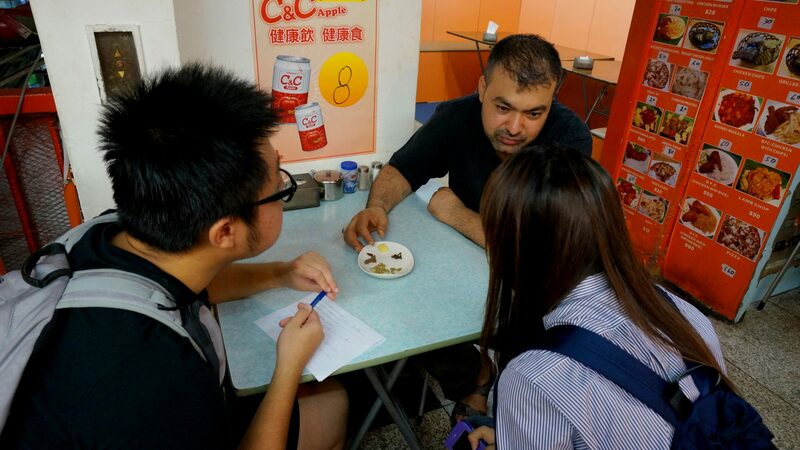 Having a conversation with ethnic minority shopkeepers in Chungking Mansions. Helped looking for suitable jobs for local residents. At the debriefing session, students shared their points of view about local poverty and other social problems they observed and learned during the trip.